Money Talk :: - Is money Really the Only System or is there one Beyond? Complete Topic.. Read this tell the very last post.. its entertaining by the last three pages.. really..
Am I wrong.. or christ corps wrong.. Post at the end of this topic.. and tell me what you think.. but.. read at least the last 4 pages.. reading the whole thing will make me very happy before you post! You be the judge.. because at this point you have to be.. and it may change the course of humanity! Large boast O I know.. But.. If you don't read it all you will never know i guess.. The Planets Resources never change..
You can Recycle and sure it costs energy to do so but think about this for a moment and its hard to grasp the logic of this..
Optimizing our world is Paramount and leads to a higher quality and better life for Everyone..
Is it so Impossible to consider the fact that money is not the perfect system? We Must Ascend in the name of Love! A system Created in the 21 century by the people for the people that Obsoletes Monetary! what is the difference between me and you to Albert Enestine! nothing.. only yourself! look at you! rise above yourself! sovereign light! fallow the path of light or descend! There really is only 2 things. Barter or an agreed upon currency. The purpose is to "Exchange" one product or service for another. You can do that directly with bartering an item or your labor, or with an agreed upon currency you have based on your labor. You can't exchange a product or service for nothing. Actually you can. If you're an ultra liberal, then you believe people are entitled to products or services, via currency, for doing absolutely nothing. E.g. Welfare. But this aside, the purpose of currency is so you don't have to walk around with all your possessions at all time ready to barter. Plus, for the individual who does more labor than they can trade. Thus, a savings account of leftover currency. You need something that is tangible to store your leftover assets or currency for the labor you provided. Of course, the central banks and such will have you believe that in the name of security and to reduce crime, we can have a cashless society. One where all assets are digital and you use electronic type transfer for all trades. E.g debit or credit card. This is simply a ploy to gain control over the people by the banks and the government. If we go cashless, then your only choice if you don't like a bank, is to transfer your account to another one. But will most banks working together, you lose your choices. Currently, you can rebel by withdrawing all your assets in cash and keeping it at home if you want. A cashless society can also force you to spend your money. Many banks are starting to charge negative interest rates. They say you should pay them for the service of holding your money. Even though they are making money by loaning yours out. If you can remove your money, you retain the control and power and the bank can't loan out what they don't have. With negative rates, you will be manipulated to spend your money on useless crap instead of losing money each month paying interest to the bank. The only real liquid assets you have are bartering goods and/or labor, or an agreed upon currency. And the only real money today, is gold and silver. Any paper currency backed only by the "good faith and standing" of a country is capable of crashing and deflating. There is no other replacement for exchanging goods or services other than a form of barter or an agreed upon currency. Not unless you're some naive or ignorant person who believes in a "Commune" type society where everyone shares everything and no one is wealthier than another. This too can't work because their will always be those who are either greedy or want power and control. A commune type society also doesn't work because it takes away all motivation to work harder and do your best. There is a Privilege based system. and you put in an application for a computer and get one or two and you can get it retrofitted after a given time that way you are not super rich and you have computer in every room.. We have to start thinking about humanity and saving energy and resources and everyone doing something to get us to the goal.. instead of.. this.. i mean.. think about it.. there is like 600 different ways to go about it and it can be formulated to work.. and we can test it inside of a simulated world on a computer to see if it works.. this stuff exists.. we need to research and find a way to optimize our world.. The problem with your theory, is it relies on a perfect euphoric world. No greed. Can't we all just get along? Your world also removes individual freedom. If you use energy as a currency, how do you collect it or possess it? You don't. It would have to be a system of electronic credits. That puts us back in the position of someone else or another entity, controlling us. We aren't allowed to just take our assets and leave. They aren't going to deliver you 1000 barrels of oil or a pound of plutonium because you want to physically possess your assets or wealth. Now, you can back a currency with energy. Just like the dollar use to be backed by gold and silver. But the currency itself can't be energy. Currency is simply the portable version of wealth and asset. Thus, since going off of the gold standard, our currency isn't backed by anything. That's why the government can simply print more and our world currencies ultimately fail. In the end, any agreed upon currency, has to be backed by something of equal value, that the owner of the currency can exchange for at any time and take physical possession of. You can give people possession of energy. Even now, it's almost too late to even back currencies with gold and silver, because there's not enough of it to cover the paper debt of dollars , euros, etc. gold would have to be worth more than $50,000 per ounce to come close. And even if you did do that, all the silver in the world would equal less than 1 ounce per person. Currently, gold and silver are the only real money. As it has been for thousands of years. Unless we lived in your communist society where everyone is equal when it comes to wealth, your system can't work. And even then, tour commune world won't work because it takes away the incentive for people to be the best they can be. Why should I work harder than the person doing very little when they will receive the same benefits and wealth that I receive. There has to be an incentive to excel. But in your make believe world, I guess it's possible. and money takes your freedom away anyways in order to earn the privalage to have lunch or go to the bar and pick up a woman you have to work for money.. Working for the privilege makes sense.. and working to keep that privilege makes sense too..
Or this world should learn to do as the marines do.. and JUST DO.. or this species is going to stagnate.. and i sware to god there would be no Little work done.. everyone has to do the same amount to gain tier one privilege.. the guy flipping a hamberger at mic D is working harder then the guy at the bank pushing numbers at a calculate and who gets payed more.. the banker.. the banker would have a much harder time going back to the freezer and doing physical work then sitting at a calculator punching in numbers and calculating.. there are jobs out there that are difficult and pay little.. and to be honest with you.. we cant even upkeep our world because it costs us to much money! thats nonsense seeing as our ECO System is our Economy System..
WE have this world to go to space with.. thats it.. and if we dont make our move we.. will eat these resources up.. then there gone.. no more chance to go to space right there..
We need to find a new way.. money is like anything else and can be replaced by something better.. it is impossible to believe that money is the best way.. Impossible.. to believe.. that money is the only way.. this is reality.. this is physics.. and there is so many other ways to get around this then this one system..
We must Ascend.. If we dont upgrade we will be left behind.. out with the old and in with the new.. and this system.. Monetary! is 1500 Years old.. Honestly this is the modern age.. We need a better way.. we need to keep a tighter grip on our resources.. I sware to god they make 300 000 more Xbox's then they need.. Guess what.. they also make 6 different typed of computer.. Xbox Nintendo Playstation and a Regular computer are a few examples and this is a example of stagnation.. why do we need 6 different types of computer when we can just use ONE! Punch up some Numbers in a Earth Simulator with new ways and I bet You would be Surprised at what happens there.. 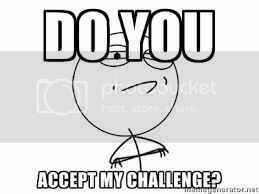 Honestly take the Challenge.. Make a Earth Simulator Program.. Have some Scientists around to make up new rules other then money.. I bet You anything they will come up with a way to Optimize Humanity for Success.. There is so many Rich's out in space waiting.. In a euphoric commune world you don't need choice. You can have just 1 choice in every category. You wouldn't need competition to keep prices down or to promote innovation or advancements. But a make believe euphoric world doesn't exist. Without competition, which means choices, we wouldn't have the technical advancements we have today. We'd still be using horse and buggy. The reason you're even posting here today is because of competition. You take too many things for granted. You assume the technologies, science and medical advancements, etc. would have developed on their own. They wouldn't have. It took the space program and our military requirements, leading to competition to provide better advancements to customers, through competition, to get us to where we are today. Does that mean we haven't screwed some things up? No, of course we have. But it's that same competition and technical advancements that will make petroleum unneeded and help clean the environment. It's competition leading to advancements that will find a cure for cancer. None of this could or would happen without competition, consumer choice, and basic capitalism. But back to your original point. Money. Let's separate this into cash and wealth. Cash as we know it, meaning the dollar, euro, etc. is failed. I agree. It's useless. It's over valued with nothing of value to back it up. The only wealth out there is gold, silver, land, and items or property that people have a use for. But you can't walk around with all your possessions with you in case you want to buy or trade for something. That is the sole purpose of cash. It's convenient. Even if you went totally electronic with it and no paper cash, it's still there for convenience. The problem, as you rightfully noted, is that it's not backed by anything. Thus, the government can simply print more. The reason gold and silver have always been a media for wealth and backed the convenient cash, is because it's still portable enough that an individual could convert their cash back to gold and silver and take it with them. There isn't one country in the world that you can't purchase something with gold or silver. Try going to a 7-11 in Baltimore and buying a coke with japensese yen. Not going to happen. Cash is only good if you can convert it. You could convert dollars to other currencies, but the value constantly changes based on the faith in one currency and its government over another. That's why many countries are trying to get rid of the dollar as the reserve currency. But in the end, you need some sort of currency. Even if it's electronic, it has to be backed by something the owner can convert back to a tangible asset of wealth. Oil isn't good because you can't take delivery of hundreds or thousands of barrels of oil. Of course, in a make believe world, everyone would simply work and receive the necessities of life automatically. But that make believe world can't exist. The burger flipper might do harder labor, but they didn't spend a lot of time going back to school to learn economics, accounting, investing, etc. like a banker did. And the reason people get paid more than others, is usually based on the responsibility level required of them or what they bring to a company that will help that business succeed and do better. If you want to compare, then compare the burger flipper to the McD shift supervisor. The burger flipper does more hard labor, but the supervisor has more responsibilities and thus gets paid more. Euphoric world and I speak computer simulations to see if it works.. It requires common sense and a new way that works backed up by the all logical computer.. also common sense.. and he speaks the unreality of his fact.. fiction to reality there is only barter and monetary which is just social engineering when there is Many options outside of the realms of ever being thought of before.. 100's of social engineering choices all you need is research! I don't want to hear what you assume to be fact.. I want to see systems tested on a computer Simulated Humanity on earth to see the results.. and i bet you we can 2x this Bs! you are under the illusion and assumption there is no other way... and that is absolutely not true! Money is not a Solution anymore its a Problem.. A Problem that needs to be Eliminated! What is so hard about doing Research into this to find another way? it could Even be a Simulated United States with United States Civilization going another System from money.. It does not have to be a Euphoric People to work..
You can simulate all you want. It's like you're trying to argue math and science. The truth and facts are what they are. You can't pretend they don't exist. Truth: you produce or gain wealth from your labor. Either physical or intellectual. There's no other way to produce or gain wealth. Not unless you are some sort of welfare recipient. In which case, your wealth is created off of someone else's labor. Truth: the wealth you gain must be in a form of asset that can be accumulated, divisible, storable, and exchangeable to someone else in return for an asset or labor that they possess and the two parties agree in equal value. Fact: the wealth gained must be tangible and portable. The owner of the wealth must be able to maintain ownership wherever they are. Ultimately, the wealth must have the capability of being physically handed over to the owner should they want possession of it. Others can't be able to maintain control over another's wealth against the owners will. Hence, the wealth must eventually have physical properties. Fact: excess wealth, based on producing more labor than needed for subsistence, must also be in a form that can be accumulated, saved, and exchanged at a later time. These are the truths and facts. You cannot dispute this. I agree that cash is useless because there is no wealth backing it up and it can be manipulated simply by printing more. Notice I said cash and not money. There is a difference. Money is wealth. It's what you use to trade, barter, buy, etc. something you want or need. Cash or currency is simply a representation of money/wealth. When cash/currency is backed by money/wealth, all is good. When it's not backed by anything of value, like most world currencies, then it's useless. In this, we agree. These are the truths and facts. You can rationalize that all you want. It cannot and will not ever change. I have no problem with your thought of replacing cash/currencies with something else. But don't confuse cash/currency with money/wealth. Cash can be replaced with anything. Corn, oil, gold, silver, copper, cocain, etc. that isn't important. What's important is that the cash/currency must either have value itself or it must be backed 1:1 with something of equal value. Such as when the dollar was backed by gold and silver. We don't disagree in this area. I'm simply stating that there must be some form of cash/currency that equally represents an individual's wealth, and that cash/currency must be portable for convenience, and it has to represent an individual's actual wealth; and the wealth that it represents must be capable of being surrender back to the owner so she or he can take possession of it should they want to. That's why a cashless society in total, is not a valid long term solution. It takes away the individuals ability to possess and control their own wealth. On paper people can operate totally electronically with credits and debits. But in a cashless society, the banks and government can then control the individuals spending and the economy, instead of the individual controlling their own economy. Fact and Truth - Reality does not care about your Man made System or Your man made logic of this system for humanity to work adapt and survive or to defend this man made 1500 year old chipped up flawed system! Fact and Truth - Reality allows us to Research a better way through math and Science! You can't pretend they don't work! Fact and Truth: Humanity produce's or gain's Resources and Technology Faster and more Effectively under less Heavy Foot of Economy. and a Fact and Truth off of this one.. Ideas are not stolen and it does not cost money to produce a technology through a patent office and the original creator has more power over his creation and knows it better then the fool who stole it from him and Furthermore the Genius is not Un Enamored to Create more for Humanity! All being an Effect of greed! (Truth: the wealth you gain must be in a form of asset that can be accumulated, divisible, storable, and exchangeable to someone else in return for an asset or labor that they possess and the two parties agree in equal value.) This statement is absolutely not true as humanity can provide enough to live on for a fairly good life for all and also provide things like ONE computer saving are ECO SYSTEM which is out economy system.. Which is True Wealth for humanity VS fake Cotton paper.. Something needs to get done.. it gets done.. someone needs something they get it and if someone wants something say an XBOX they get a Computer that can do all the systems Every single one.. Nintendo Xbox and everything else and this is only ONE example of what can become ONE thing.. Like Restaurants.. We don't need 6 different variations of Berger kings (Mic D, Windy's Ect, ect,) or three types of petroleum products Basic to premium when there should only BE THE BEST! Humanity's Money and Cash is Resources.. Without them We will die.. and We use Petroleum as a Economy bost for Cash flow.. Like Dumb @#*@#$.. Instead of Using it for its possible full Potential.. We cant make an Optimizing Switch because of money such as going to Electric cars to save our Atmosphere and Our Lives because they cost to much money and GUSS WHAT.. THE STAR WE ORBIT PUMPS OUT ENERGY ALL FLIPPITY DAY!!! Corn, oil, gold, silver, copper, Make Devices and are food and Knowledge and Wisdom is Wealth and Survival.. All of these or the things you consider Money, Wealth, cash or currency Which is the Ultimate goal.. We focus on our Greed and Self more then we Focus on The Sister and Brotherhood of Humanity and its Survival.. Truth and Fact - Reality does not care about individualism's Wealth.. and Time does not wait for any Civilization.. Back in the day when we entered the space race Money did not mean anything and we Ownt pwnt that goal.. Would money stop an Asteroid from Colliding with earth ending our Civilization.. Or would it be the men women and Children's combined effort who stopped it when earth set aside its differences dropped the hindrance of money and every other thing that hindered humanity and picked up the tools to combat or oncoming Annihilation.. If you keep on believing that it will never change and you continue to do nothing about and continue to believe there is nothing you can do about it.. then it never will change.. and Reality says otherwise on all three of these statements! Jesus Christ would agree with Me! And think about all the benefits to humanity.. i could spend a whole day typing up a list of benefits to humanity! that would Quite literal MAKE a Euphoric World! to get to and To have a Euphoric world we have to Formulate FOR a Euphoric world! "Just say NO to drugs". You can can have final or all future comments on this thread. I will not make any further comments. I thought it was going to be an actual discussion on replacing our existing cash/currency system which is flawed. Not a discussion on a make believe Utopia world. Have a great day. Your World is a Make Believe Game of Monopoly and man made Rules! HAHAHA and they resort to the slander that I do drugs like foolish idiots like this! Your Species is going to go Extinct if you do not play by Reality's rules! Reality does not care about your man made game of Greed! And Honestly Reality will not make room for man made Logic! This Guy Runs away from Debate battle.. Money Losses I win... Who's next to defend money the system of man made rules and man made logic! Play by Reality's rules and not some man made Farce! cant beat that Logic! Do the Research. and Above I mention how as well.. it will lead to better ways! We must change, adapt, Advance and Ascend in the name of Love! The Global wide Catastrophe.. Economic collapses.. Did the Resources Disappear? No.. All it takes is work time and energy.. It will hit so hard and fast you will be doing something about it at the last minute and you wont even know what to do.. There will be Rioting and looting in the streets.. and it is Covertly creeping up on you as we Type! Allways Remember that the Technology I enamor Up is for Humanity as I post on these Forums.. This Technology like my 100% light Absorbtion Solar Panels and Electric Car Motor Upgrades and many Other Technologies I writhe out of my head are GIFTS to Humanity.. If i Catch some Corporatist Stealing My stuff and Pretending it is his and making some Empire and then using his money to get Women with the Money rod of COnvince Her mind.. and I sware to god they go after the Sweet and Caring ones for a reasion.. they have money and they want a woman who does not want them for there money.. You can see why I would get Aggravated.. You can tell that I am a Genius.. And I will make you My Personal Enemy.. I will call Vendetta down on you and You will suffer my Wrath.. This Technology I Create around these forums is For Humanity and You all ways Remember that.. It is not for Your Personal Advancement it is for Humanity's Ascendance..
You continually repeat that you hate the monetary system - but what is it about money that you dislike? And what would you like? "Love" is nice but I doubt that you can build a system or a society around it. Yup. Eg, whatever water that came with this planet is still here, no more, no less. If you boil it, you get steam, a cloud, and it rains. Water your lawn, some evaporates and it rains, some goes into the water table and gets back to the ocean, And then evaporates, clouds, and rain. All rivers and stream on the planet eventually get to the ocean - and the evaporation from the surface is clean pure H2O, no chemicals, no salt, yada. So, essentially, all water that we drink, bathe in, cook with, was dinosaur piss at some point in time. Same with oil - we can burn it, convert it to energy, increase entropy - but it us still there, just in a different form. And so on, with all things. As for your theories on 'work'. There is muscle work and intellectual work. If you were blessed with big muscles and have limited analytical ability, you worth is based on 'you load 16 tons of #9 coal". And if you were given analytical skills, you do the mental work - eg, the physics, the differential equations, the thermal analysis, the structural analysis, to put Man on the Moon. But your idea that the Banker cannot flip burgers or get stuff from the freezer is wrong. I was an engineer on the Apollo program in the 1960s & 70s - and a missile engineer thereafter. But I can also load hay bales, drive a Combine, drive an18-wheeler, milk cows, castrate hogs, harness a team, yada. OTOH, I've never tried flipping burgers - don't know if I can or can't - lol. BTW, are you a financial success? or a financial failure? I meticulously and methodically handle my money.. or a methodical process of meticulous stages if need be..
That being the case, then it is a choice whether or not you'd rather be flipping burgers for low pay or tinkering with a calculator for more money. No one forced the hamburger flipper to take the job.